Benelec is an Australian owned SME, specialising in radio frequency (RF) systems. Our Filter and Antenna range include C2 and EW. We also integrate COTS Radio Systems, focused in P25 Secure Digital Radio. HUBER+SUHNER develops and manufactures components and system solutions for Radio Frequency, electrical and optical transportation of data and energy. Amber Technology specialise in the capture, processing, storage & distribution of Voice, Video & Data. 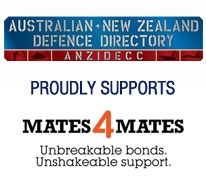 With local support, design and PM services across ANZ we partner with many key customers in the Defence, Law Enforcement and Security environments. SRA Solutions – SCEC approved Racks & Defence grade Data Centre experts. Proudly Australian, our defence credentialed team of designers & engineers are backed by a multi-skilled workforce able provide the highest quality IT infrastructure solutions. eCastle provides, integrates and supports C4I systems, deployable power and network solutions to defence and security markets. Leonardo is a global high-tech company and a key player in Aerospace, Defence & Security. Leonardo,via Selex ES Australia, is a Prime Systems Integrator of capability to the Australian Defence Force. AFL manufacture, design and integrate fibre optic and copper communication solutions. Our mission is to connect our customers around the world with innovative technologies and exceptional products. Eylex Pty Ltd is dedicated to provide an extensive range of mission critical communications products and services that meet the specific requirements of our Australian and New Zealand Defence and Emergency Services customers. All Sat Communications specialise in Satellite Safety, Rescue, Voice, Data and Tracking Solutions. We can also provide equipment mounting options for land, sea and air. Manufacturers of Racking systems and cabinets for a variety of defence applications.